Neo-Luddism or new Luddism is a philosophy opposing many forms of modern technology. The word Luddite is generally used as a derogatory term applied to people showing technophobic leanings. The name is based on the historical legacy of the English Luddites, who were active between 1811 and 1816. Neo-Luddism is a leaderless movement of non-affiliated groups who resist modern technologies and dictate a return of some or all technologies to a more primitive level. Neo-Luddites are characterized by one or more of the following practices: passively abandoning the use of technology, harming those who produce technology harmful to the environment, advocating simple living, or sabotaging technology. The modern neo-Luddite movement has connections with the anti-globalization movement, anti-science movement, anarcho-primitivism, radical environmentalism, and deep ecology. Neo-Luddism is based on the concern of the technological impact on individuals, their communities, and/or the environment, Neo-Luddism stipulates the use of the precautionary principle for all new technologies, insisting that technologies be proven safe before adoption, due to the unknown effects that new technologies might inspire. Neo-Luddism calls for slowing or stopping the development of new technologies. Neo-Luddism prescribes a lifestyle that abandons specific technologies, because of its belief that this is the best prospect for the future. As Robin and Webster put it, "a return to nature and what are imagined as more natural communities." In the place of industrial capitalism, neo-Luddism prescribes small-scale agricultural communities such as those of the Amish and the Chipko movement in Nepal and India as models for the future. Neo-Luddism denies the ability of any new technology to solve current problems, such as environmental degradation, nuclear warfare and biological weapons, without creating more, potentially dangerous problems. Neo-Luddites are generally opposed to anthropocentrism, globalization and industrial capitalism. In 1990, attempting to reclaim the term 'Luddite' and found a unified movement, Chellis Glendinning published her "Notes towards a Neo-Luddite manifesto". In this paper, Glendinning describes neo-Luddites as "20th century citizens—activists, workers, neighbors, social critics, and scholars—who question the predominant modern worldview, which preaches that unbridled technology represents progress." Glendinning voices an opposition to technologies that she deems destructive to communities or are materialistic and rationalistic. She proposes that technology encourages biases, and therefore should question if technologies have been created for specific interests, to perpetuate their specific values including short-term efficiency, ease of production and marketing, as well as profit. Glendinning also says that secondary aspects of technology, including social, economic and ecological implications, and not personal benefit need to be considered before adoption of technology into the technological system. Neo-Luddism often establishes stark predictions about the effect of new technologies. Although there is not a cohesive vision of the ramifications of technology, neo-Luddism predicts that a future without technological reform has dire consequences. Neo-Luddites believe that current technologies are a threat to humanity and to the natural world in general, and that a future societal collapse is possible or even probable. 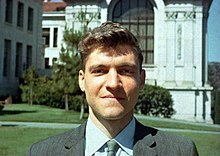 Neo-Luddite Ted Kaczynski predicted a world with a depleted environment, an increase in psychological disorders, with either "leftists" who aim to control humanity through technology, or technology directly controlling humanity. According to Sale, "The industrial civilization so well served by its potent technologies cannot last, and will not last; its collapse is certain within not more than a few decades.". Stephen Hawking, a famous astrophysicist, predicted that the means of production will be controlled by the "machine owner" class and that without redistribution of wealth, technology will create more economic inequality. These predictions include changes in humanity's place in the future due to replacement of humans by computers, genetic decay of humans due to lack of natural selection, biological engineering of humans, misuse of technological power including disasters caused by genetically modified organisms, nuclear warfare, and biological weapons; control of humanity using surveillance, propaganda, pharmacological control, and psychological control; humanity failing to adapt to the future manifesting as an increase in psychological disorders, widening economic and political inequality, widespread social alienation, a loss of community, and massive unemployment; technology causing environmental degradation due to shortsightedness, overpopulation, and overcrowding. In 1990, attempting to reclaim the term 'Luddite' and found a unified movement, Chellis Glendinning published her "Notes towards a Neo-Luddite manifesto". In this paper, Glendinning proposes destroying the following technologies: electromagnetic technologies (this includes communications, computers, appliances, and refrigeration), chemical technologies (this includes synthetic materials and medicine), nuclear technologies (this includes weapons and power as well as cancer treatment, sterilization, and smoke detection), genetic engineering (this includes crops as well as insulin production). She argues in favor of the "search for new technological forms" which are local in scale and promote social and political freedom. Rejection of all modern technology – "This is logically necessary, because modern technology is a whole in which all parts are interconnected; you can’t get rid of the bad parts without also giving up those parts that seem good." Rejection of materialism and its replacement with a conception of life that values moderation and self-sufficiency while deprecating the acquisition of property or of status. Punishment of those responsible for the present situation. "Scientists, engineers, corporation executives, politicians, and so forth to make the cost of improving technology too great for anyone to try"
Contemporary neo-Luddites are a widely diverse group of loosely affiliated or non-affiliated groups which includes "writers, academics, students, families, Amish, Mennonites, Quakers, environmentalists, "fallen-away yuppies," "ageing flower children" and "young idealists seeking a technology-free environment." Some Luddites see themselves as victims of technology trying to prevent further victimization (such as Citizens Against Pesticide Misuse and Parents Against Underage Smartphones). Others see themselves as advocates for the natural order and resist environmental degradation by technology (such as Earth First!). One neo-Luddite assembly was the "Second Neo-Luddite Congress", held April 13–15, 1996, at a Quaker meeting hall in Barnesville, Ohio. On February 24, 2001, the "Teach-In on Technology and Globalization" was held at Hunter College in New York city with the purpose to bring together critics of technology and globalization. The two figures who are seen as the movement's founders are Chellis Glendinning and Kirkpatrick Sale. Prominent neo-Luddites include educator S. D. George, ecologist Stephanie Mills, Theodore Roszak, Scott Savage, Clifford Stoll, Bill McKibben, Neil Postman, Wendell Berry, Alan Marshall and Gene Logsdon. Postman, however, did not consider himself a Luddite and loathed being associated with the term. Some neo-Luddites use vandalism and or violence to achieve social change and promote their cause. Adinolfi knows well that it is only a matter of time before a European Fukushima kills on our continent [...] Science in centuries past promised us a golden age, but it is pushing us towards self destruction and slavery [...] With our action we give back to you a small part of the suffering that you scientists are bringing to the world. The kind of revolution we have in mind will not necessarily involve an armed uprising against any government. It may or may not involve physical violence, but it will not be a POLITICAL revolution. Its focus will be on technology and economics, not politics. In August 2011 in Mexico a group or person calling itself Individuals Tending Towards the Wild perpetrated an attack with a bomb at the Monterrey Institute of Technology and Higher Education, State of Mexico Campus, intended for the coordinator of its Business Development Center and Technology Transfer. The attack was accompanied by the publication of a manifesto criticizing nanotechnology and computer science. Sale says that neo-Luddites are not motivated to commit violence or vandalism. The manifesto of the 'Second Luddite Congress', which Sale took a major part in defining, attempts to redefine neo-Luddites as people who reject violent action. According to Julian Young, Martin Heidegger was a Luddite in his early philosophical phase and believed in the destruction of modern technology and a return to an earlier agrarian world. However, the later Heidegger did not see technology as wholly negative and did not call for its abandonment or destruction. In The Question Concerning Technology (1953), Heidegger posited that the modern technological "mode of Being" was one which viewed the natural world, plants, animals, and even human beings as a "standing-reserve"—resources to be exploited as means to an end. To illustrate this "monstrousness", Heidegger uses the example of a hydroelectric plant on the Rhine river which turns the river from an unspoiled natural wonder to just a supplier of hydropower. In this sense, technology is not just the collection of tools, but a way of being in the world and of understanding the world which is instrumental and grotesque. According to Heidegger, this way of being defines the modern way of living in the West. For Heidegger, this technological process ends up reducing beings to not-beings, which Heidegger calls 'the abandonment of being' and involves the loss of any sense of awe and wonder, as well as an indifference to that loss. One of the first major contemporary anti-technological thinkers was French philosopher Jacques Ellul. In his The Technological Society (1964), Ellul argued that the rationality of technology enforces logical and mechanical organization which "eliminates or subordinates the natural world." Ellul defined technique as the entire totality of organizational methods and technology with a goal toward maximum rational efficiency. According to Ellul, technique has an impetus which tends to drown out human concerns: "The only thing that matters technically is yield, production. This is the law of technique; this yield can only be obtained by the total mobilization of human beings, body and soul, and this implies the exploitation of all human psychic forces." Another critic of political and technological expansion was Lewis Mumford, who wrote The Myth of the Machine. The views of Ellul influenced the ideas of the infamous American neo-Luddite Kaczynski. The opening of Kaczynski's manifesto reads: "The Industrial Revolution and its consequences have been a disaster for the human race." Other philosophers of technology who have questioned the validity of technological progress include Albert Borgmann, Don Ihde and Hubert Dreyfus. ^ a b Jones, Steve E. (2006). Against technology: from the Luddites to neo-Luddism. CRC Press. p. 20. ISBN 978-0-415-97868-2. ^ Brosnan, M.J. (1998). Technophobia: the psychological impact of Information Technology. pg 155. London: Routledge. ^ Christensen, Karen; David Levinson (2003). Encyclopedia of community: from the village to the virtual world, Volume 3. SAGE. p. 886. ISBN 978-0-7619-2598-9. ^ Graham, Gordon (1999). The Internet: a philosophical inquiry. Routledge. p. 9. ISBN 978-0-415-19749-6. ^ a b c Glendinning, Chellis. Notes towards a Neo-Luddite manifesto. Utne Reader, 1990. ^ Theodore J. Kaczynski, David Skrbina; Technological Slavery, The Collected Writings of Theodore J. Kaczynski, a.k.a. "The Unabomber." ^ Bell, David (2005). Science, technology and culture. McGraw-Hill International. p. 55. ISBN 978-0-335-21326-9. ^ Tom Kington (11 May 2012). "Italian anarchists kneecap nuclear executive and threaten more shootings". The Guardian. Retrieved 13 May 2012. ^ Young, Julian. Heidegger's Later Philosophy, p. 80. Cambridge University Press, 2002. ^ a b c d Wheeler, Michael, "Martin Heidegger", The Stanford Encyclopedia of Philosophy (Spring 2013 Edition), Edward N. Zalta (ed. ), URL = <http://plato.stanford.edu/archives/spr2013/entries/heidegger/>. ^ See: Dreyfus, H. On the Internet. Huesemann, M.H., and J.A. Huesemann (2011). Technofix: Why Technology Won’t Save Us or the Environment, New Society Publishers, Gabriola Island, Canada, ISBN 0865717044. Kaczynski, Theodore (2010) Technological Slavery Feral House.